The table and everything on it rattled like a freight train had just passed our house. The surface of the glass of Five-Alive juice in front of me became unsettled. The floor began moving like the earth was experiencing a convulsion, shivering up and down with vigorously, strongly. Making a noise like an extended thunder only worsened because the vibrations were coming from below. “Take cover! Get under the table quickly!” my father shouted and in response, we all went under the table. The vibrations intensified, books fell off shelves, glassware on the table and shelves smashed. From under the table I watched the outstanding framed picture of my father in his police uniform, wearing a broad smile, fall off the wall and land heavily on the terracotta tile, smashing to pieces. The lights swung violently from the ceiling and flickered rapidly before going out totally. Cracks appeared from the ground beneath, on the walls and ceiling. It gave out a loud deafening sound. Our screams were lost under the earsplitting noise as some parts of the ceiling came down in chunks; some landed heavily on the table we were underneath. Our hearts took a nosedive into our stomachs, as fear and panic gripped us to the bones. “Outside! Let’s go! Let’s go outside! Before the house comes crashing down on us!” Father screamed again. Almost immediately, we reached for each other’s hand and scrambled up to our feet but in a flash, we lost balance and were reduced to crawling as we fled outdoors. Outside, the atmosphere was hot and covered in clearing black smoke. A mixed smell of smoke, dust, and death lingered in the air. The earth’s convulsions and shaking had stopped but the impact was still very much felt and evident. I took a slow 360-degree turn to discover that buildings that stood for centuries had crumbled into their foundations. Many homes and offices had collapsed trapping people under tonnes of rubble; dead or alive no one knew. My neighbourhood now had the impression of a war zone. The wailing of infants, cries of women and pain-filled shouts of men could be heard all over. Moments after a strange calm wind swept through the street, picking up papers and every other lightweight material. The wind washed over me and left a paper at my feet. “What could be on the paper?” I wondered. “Could it be a sign from above, from God? A way out of this unending nightmare?” To unravel the mystery I stooped and turned the paper. I was shocked to the bone to discover it was the same picture of my father that had fallen from the wall a while back. In that instant, it occurred to me that I was the only one outside. I swiftly took another 360-degree turn, this time keenly in search of my dear father. “Where could he be? Where has he gone to? Did he even make it out alive?” Panic drilled into my heart. “Daddy!” I screamed as I slowly walked back to our house. Just a few steps from the broken door, I suddenly heard a terrible rumble from the deep belly of the earth like it was hungry for more destruction. Then a loud dragging sound, like a metallic train applying brakes, as the house that I once had called home slowly toppled into the open mouth of the earth. “Where is everyone? Am I the only one that made it out alive?” I closed my eyes as I began to feel something cold on my face and a familiar scent became evident. Gradually I opened my eyes to see the familiar wallpaper of our Lord Jesus on the wall of my room. Instantly, I knew I was in my bed and that my dog was licking my face. Daddy has always said, “A dream is God revealing to us what is about to happen, for us to pray for or against it”. Remembering that, I quickly got down on my knees and began praying. “Dear Lord, take away this pending trouble from my family and me, especially my father. Protect my parents for us and us for them”. That wasn’t enough; I reminded Him of our family covenant with him “We all will live to be one hundred and twenty years. Our blood will never spill on the road. All the days of our lives, we will live completely, never losing any part of our bodies”. I reached for my phone, only to discover I had missed eight calls from my mother. The digital clock on the phone said it was twenty-three minutes past one AM. “What could be wrong?” I wondered as everything was playing out like I was in a bad dream. I dialled my father’s number, it didn’t connect. I tried it three more times and got the same result. Then I dialled my mother’s number; immediately it connected, she picked it. “Alex… pray! Pray… oh! Let nothing happen to your father. I have been calling him and it isn’t connecting. I don’t know what has happened to him. They keep telling me different stories”, she said. Then she apparently kept the phone down without ending the call. I ended the call and immediately panic kicked in. Swiftly, I went down on my knees, began praying again. My voice shaking and intertwined with emotions, I prayed using the same lines as my mother. From my room I could hear John praying similarly; Mary, reminding the Lord of exactly the same thing, already crying. Forty minutes into the prayer, my phone rang. It was my mother calling again and, wasting no time, I answered. “Alex!” a shallow voice said. She must have lost her voice crying, praying and shouting. “They said another policeman is dead oh…” she said sobbing into the phone. “Mummy, stop crying, Daddy is the one alive” I assured her even though she continued crying. “Alex… what will I do if your father dies? How will I continue to live without him?” her words shook my faith, but I couldn’t interrupt her. In every word I could feel the pain; the fear of living without the love of her life and the terror of going a day without the man she has lived happily with for over twenty-six years. “Mummy, nothing will happen to daddy” I assured her and whispered “God is in control…” in my spirit. My phone rang, it was my mother again. Quickly I answered. That was how God saved my father from armed robbers. Dreams are true messages from God. Prayer works, and faith works. 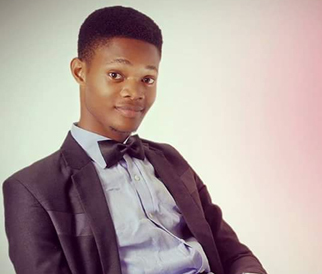 Alexander Nnaemeka (Alexander BusyBrain) from Aba City, Nigeria is a graduate in Educational Management and Economics. He likes paranormal, and the occult and believes there is more to this life than what meets the eyes. He brings elements of paranormal and mysteries in his works. Alexander has self published books on Kindle.